Schroon Lake will be prepared for whatever Hurricane Irene has in store for us, Fire Chief Paul McCann said today. “This will be a major event in the area. We are closely watching the storm and will re-assess our plans Saturday,” The Chief told Schroon Laker today. Chief McCann said the Fire House would be open if area residents had to evacuate their homes due to flooding or hurricane damage. 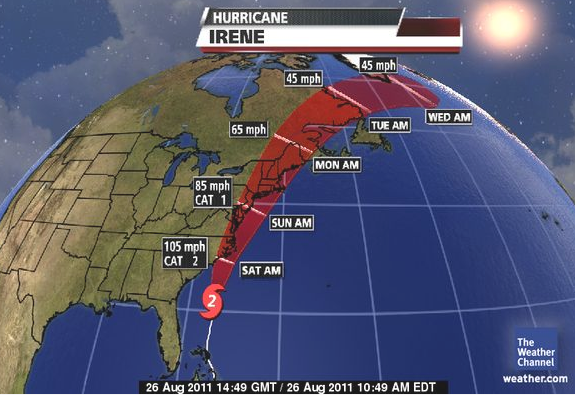 Crews have spent the last day getting ready for Irene, gassing up generators and chain saws. Councilman Roger Friedman said Town Maintenance crews have been working over the last 48 hours in preparation for Irene. "We’ve had crews out clearing culverts and drains so we don’t get flash flooding from any run off," Friedman said today. "The Town Highway superintendent and his crew are on standby." Friedman warned residents on the lake to make sure their boats and docks are secured. Outdoor furniture should be moved or secured so it won’t fly away in high winds.